NEW AND IMPROVED ACNE CARE PACK – PEG FREE..... SPECIAL INTRODUCTORY PRICE – ONE MONTH ONLY. Acne affects many people of varying ages, whether through hormonal issues or dietary and environmental influences. When it comes to skin care and Acne, keeping things simple is vital to prevent excess aggravation. Using a cleanser that won’t strip the skins natural oils yet is effective enough to remove dirt and impurities is vital. Clear unsightly pimples, reduce redness and promote your skins natural healing ability. 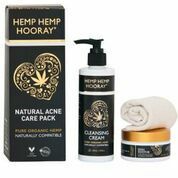 HEMP HEMP HOORAY’S Natural Acne Care Pack is a gentle yet effective 2 part system designed to help combat acne prone skin. 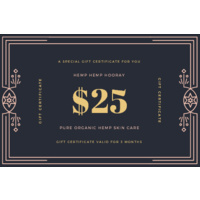 HHH Acne Care Pack comes with a complimentary hemp organic cotton face cloth to use during the cleansing process. 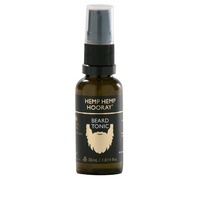 Step two… pat dry the face and neck, apply a small amount**of Skin Soothe to tone, moisturise and protect the skin. Apply morning and night or as required.